Cleaner energy supplies may provide the most environmentally-friendly form of energy, but conserving energy is the first step to take before choosing a green energy supply. Homeowners can conserve energy by insulating their homes and purchasing energy-efficient appliances with the ENERGY STAR label. When homeowners make these changes, they save money and reduce the demand for natural gas, coal, oil, and other sources of energy. Reduced usage of fossil fuels results in reduced emissions of carbon dioxide, a gas that contributes to global warming. 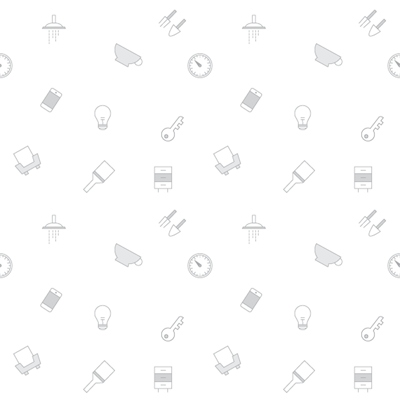 Conserving energy does not mean having to go without attractive appliances and light fixtures. Manufacturers now produce a wide variety of energy-efficient refrigerators, stoves, washers, dryers, and lighting options. Each American produces an average of 40,000 pounds of carbon dioxide emissions each year. Following just a few of these tips can reduce these emissions by thousands of pounds and help homeowners save a significant amount of money. Homeowners should choose exterior paint colors based on climate. Dark colors work best for houses in cold environments, while light colors work best for homes in warm areas. Planting trees around the outside of a home can cool the house enough to reduce the usage of fans and air conditioners. Add insulation to ceilings and walls. This simple step can shave 20 to 30 percent off the cost of home energy bills and reduce carbon dioxide emissions by as much as 2,100 pounds per year. Homeowners in cold climates should consider using superinsulation. This can reduce carbon dioxide emissions by as much as 5.5 tons per year for homes heated with gas, 23 tons per year for homes heated with electricity, and 8.8 tons per year for homes heated with oil. Window replacement can save a significant amount of energy and reduce carbon dioxide emissions. 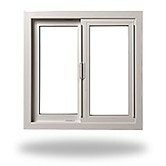 Replace regular windows with double-glazed windows that are filled with argon. This can reduce CO2 emissions by as much as 9.8 tons per year. Weatherizing a home can also significantly reduce energy usage. Use caulk and weather stripping to stop leaks around windows and doors. This is a very inexpensive way to weatherize a home, as weather stripping costs less than $10 per door and caulking costs less than $1 per window. .
Avoid using the hot water setting on the clothes washer. Switching from the hot setting to the warm setting for just two loads per week can reduce CO2 emissions by as much as 150 pounds per year for a gas water heater or 500 pounds per year for an electric water heater. Since refrigerators account for 20 percent of electricity use in the home, reduce the temperature of the fridge and freezer. Set the freezer around 3 degrees and the refrigerator to approximately 37 degrees. Plug leaks around fridge and freezer doors to avoid wasting energy. Do not run the dishwasher unless it is full. If it has a special setting for energy savings, use that setting. Homeowners can also turn off the drying cycle, instead choosing to dry dishes by hand. Not using the drying cycle can reduce electricity usage by 20 percent. Every 10-degree reduction in the temperature of a water heater saves 440 to 600 pounds of CO2 per year. Turn the water heater thermostat to 120 degrees F.
When replacing old appliances, select energy-efficient models. The ENERGY STAR label indicates that an appliance meets minimum standards for energy efficiency. Front-loading washing machines use less water than top-loading machines. Avoid buying large appliances if they are not absolutely necessary. Clean or replace the filters of furnaces and air conditioners when they are dirty. These machines have to work harder to draw air when the filters are clogged with dirt. The simple act of replacing an air conditioner filter can reduce the machine's energy usage by as much as five percent. During the summer, set the thermostat to 78 degrees. During the winter, set the thermostat to 55 degrees at night and 68 degrees during the day. Reducing the temperature by just two degrees during the winter can save as much as 420 pounds of carbon dioxide per year. Purchase an insulating jacket for the water heater. This type of product costs only $10 to $20, but it can save up to 1,110 pounds of carbon dioxide per year for an electric water heater or 220 pounds of carbon dioxide per year for a gas water heater. 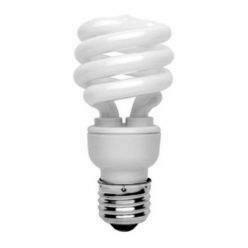 Use compact fluorescent light bulbs throughout the home. These bulbs are more expensive than traditional light bulbs, but they use only 25 percent of the energy as a regular light bulb. They also last up to 12 times longer than an ordinary light bulb. Replacing just one regular light bulb in every home in America would save the same amount of energy that a nuclear power plant produces in one year. Each compact fluorescent bulb saves as much as 260 pounds of carbon dioxide per year. Install an inexpensive low-flow shower head. They save as much as 300 pounds of CO2 per year and cost as little as $10. Buy a car that gets good gas mileage. 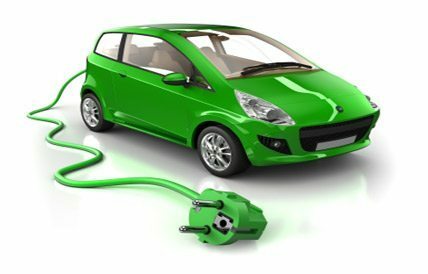 Increasing gas mileage by 15 miles per gallon can reduce annual CO2 emissions by 3,300 pounds if the driver travels 10,000 miles per year. Avoid driving whenever possible. Use public transportation, ride in a car pool, ride a bicycle, or walk instead. Saving one gallon of gasoline results in a CO2 savings of 22 pounds. Recycle air conditioner coolant whenever the car is served. Air conditioner leakage is the biggest source of CFCs, which are the chemicals that harm the ozone layer and contribute to global warming. Reuse products instead of buying new ones whenever possible. If a new item is needed, choose products that have very little packaging. For every pound of waste that is recycled or eliminated, CO2 emissions are reduced by at least one pound. Purchase products made with recycled materials whenever possible. Pay attention to environmental issues when it comes time to vote for political candidates. Write letters to elected officials to share your concerns about global warming and the importance of energy efficiency. Volunteer to implement waste reduction measures in the workplace or join a local citizens' group dedicated to reducing energy usage and waste. Cleaner energy supplies may provide the most environmentally-friendly form of energy, but conserving energy is the first step to take before choosing a green energy supply. Homeowners can conserve energy by insulating their homes and purchasing energy-efficient appliances with the ENERGY STAR label.